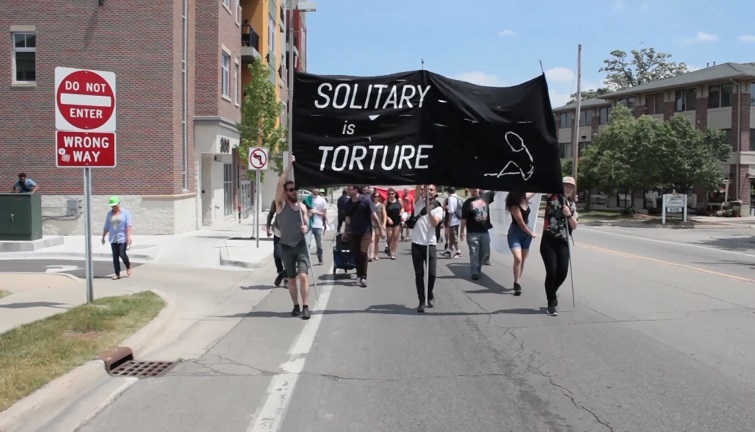 The group, Michigan Abolition and Prisoner Solidarity (MAPS), held the demonstration. They asked for the release of 70 inmates being held in solitary confinement at the Oaks Correctional Facility in Manistee. The group says the prisoners have been kept in isolation for nine months after they were involved in a protest at the Kinross Correctional Facility in Kincheloe back in September that reportedly became violent in nature. According to MAPS, at least 200 protesting prisoners were put in solitary confinement cells.